I love this cake. 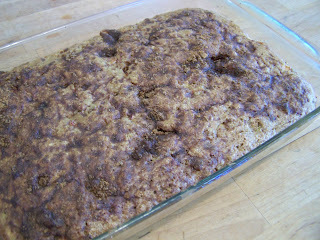 It is simple to make and delicious to eat...what more could you want from a cake? 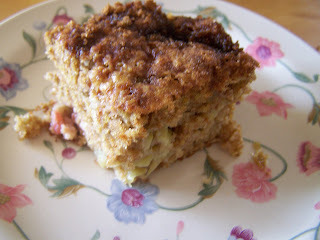 And if you ask me, rhubarb was just made to go with brown sugar and cinnamon topping. Mmm It looks delicious. My mil made one the other day that looked like this. Where's your recipe from? So where's the recipe, Heather? Huh? Huh?